We have a pretty Hide-and-Seek Dress for this week’s feature. 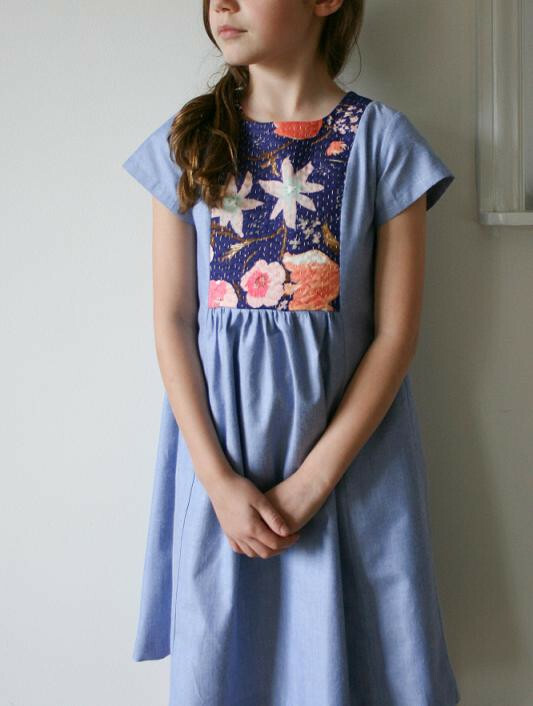 Agata drew inspiration from her kantha quilts for this garment. 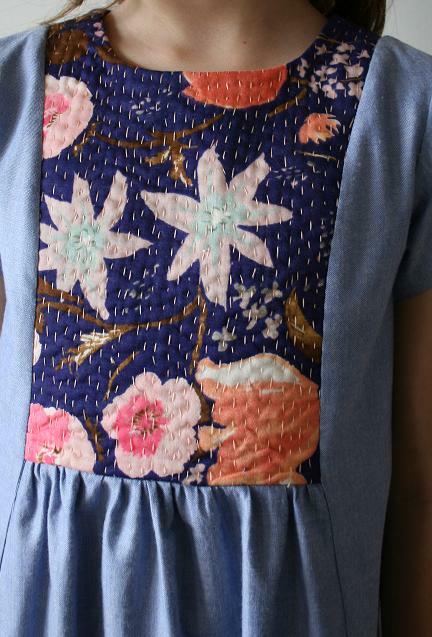 Using cotton flannel sandwiched between double gauze and the shot cotton lining for the yoke, she worked a kantha style stitch. The added interest of hand stitching gives the yoke a lovely texture, don’t you think? This is an idea that could be used to make a unique Cinema Dress as well. What a perfectly lovely dress! I love every single thing about it. Might have to make one like that for myself. Beautifully done, and the colors suit the wearer so nicely!